What's New For The 2019 Kia Sedona? The 2019 Kia Sedona is emerging as a top choice with sleek new styling, upgraded technology and a refined interior. With its new facelift, the 2019 Kia Sedona is poised to take the top spot from its competitors and offer a bigger bang for your buck. This well-rounded package of durability, convenience and style makes the all-new Kia Sedona worth a second look when it comes to choosing the best minivan for your needs. While Kia has given the 2019 Sedona a major revamp, some of the most notable changes are to the minivan's exterior. With sleeker lines, a re-designed bumper, a prominent front-end and some major curves, the Sedona is moving from utilitarian and sporty to sleek and sophisticated. The changes, however, don't stop there. 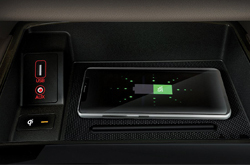 Kia has integrated an entirely new entertainment and convenience package, including a wireless device charger, upgraded information panel and rear USB ports. With Apple CarPlay and Android Audio connections in front, you can use your mobile phone as a hands-free command center. Passengers in the back will enjoy dual screens mounted into the front headrests instead of one single screen in past models. With wireless Bluetooth connectivity, you can now stream content directly to the screens to keep passengers entertained for hours. This year's model features six trim levels and the SX and SXL. One of the major changes is the EX and higher models' replacement of the traditional sliding door handle with a simple push button. In addition the alloy wheels on the EX and higher models have all undergone an upgrade, changing the look and feel of the model. Some things, however, have not changed. The second row of seating is still there from the 2018 model, but now feature reclining captain's seats and footrests. The third row of seats are retractable, and can slide into the floor for easy cargo conversion. 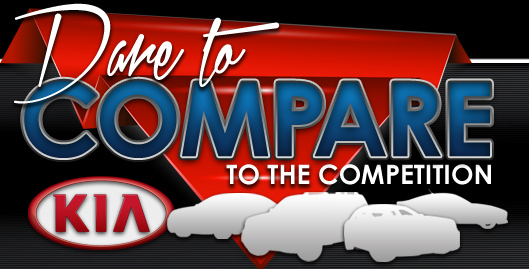 Overall, the 2019 model has changed some features and improved on others, putting a major focus on comfort and ease of use. The Kia Sedona is one of the most powerful minivans in its class, upgrading 2018's transmission to an eight-speed automatic. The 2018 engine still remains, and the 276 horsepower push the front wheels effortlessly. The Sedona still brags some of the highest gas mileage in the industry, with an impressive EPA estimated 18 miles per gallon in the city and 24 mpg on the highway. One of the biggest selling points for the all-new 2019 Kia Sedona is its safety features. The driver attention warning (DAW), which comes standard, can detect eye movement and alert you when your attention is diverted from your driving. 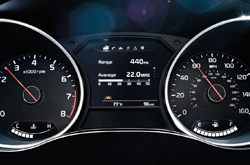 The forward collision warning will alert you and help to prevent an impending crash. The system can even read cross traffic and prevent "t-bone" accidents. The blind spot collision warning will help you to avoid crashing into those pesky drivers who insist on hanging out in your blind spot. All of these features are standard, making the model a more cost-effective option for drivers who are concerned about safety. When it comes to styling, convenience and safety, few models can compare to the 2019 Kia Sedona. 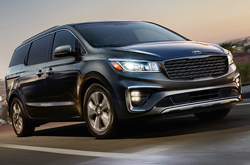 With upgraded exterior trim, a comprehensive technology package and some of the best safety records in the industry, the 2019 Kia Sedona is an excellent choice for those who want a luxury minivan experience. 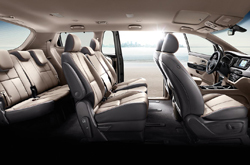 Visit us and take a test drive of the 2019 Kia Sedona minivan today.